Memorial service for George Edgar Echols, 75, of Howe will be held at 1:00 pm Saturday at the LDS Church in Sherman. 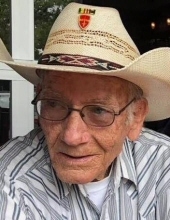 He passed away Wednesday, February 6, 2019 in Bonham. George was born August 4, 1943 in Dallas, Texas to Edgar and Cecid Groves Echols. He served in the United States Army and was a retired Carpenter. George is survived by his two sons and their wives: Ray and Joli Echols and Josh and Virgie Echols. Grandchildren: Sara, Salma and Emma Echols. To send flowers or a remembrance gift to the family of George Edgar Echols, please visit our Tribute Store. "Email Address" would like to share the life celebration of George Edgar Echols. Click on the "link" to go to share a favorite memory or leave a condolence message for the family.